Well it's almost May and I haven't shared a card this year ! We've had a lovely warm summer and autumn. It's been difficult to stay inside and make cards. 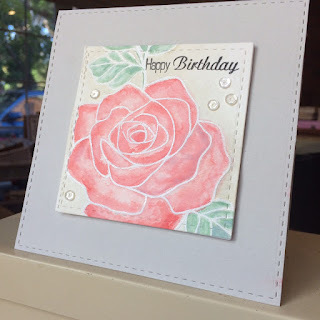 I've white heat embossed a Stampin Up rose and then added water to the enclosed areas before dropping in the colour. Here is the inspiration board for the challenge. As you can see, I went with the rose image. The square blocks of the board encouraged me to shape my image and card as I have. Love this Julie. That rose is amazing and sounds so simple to make. Glad you could join us at Scrapbook Boutique, we hope you'll play along again. Gorgeous rose and water colouring Julie. Glad you're back in the swing of crafting and hope to see your entry over at Scrapbook Boutique again next month. Love your beautiful rose and 'water' droplets (sequins?) 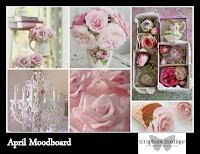 - and your take on the mood board by using the square shape twice - inspired! 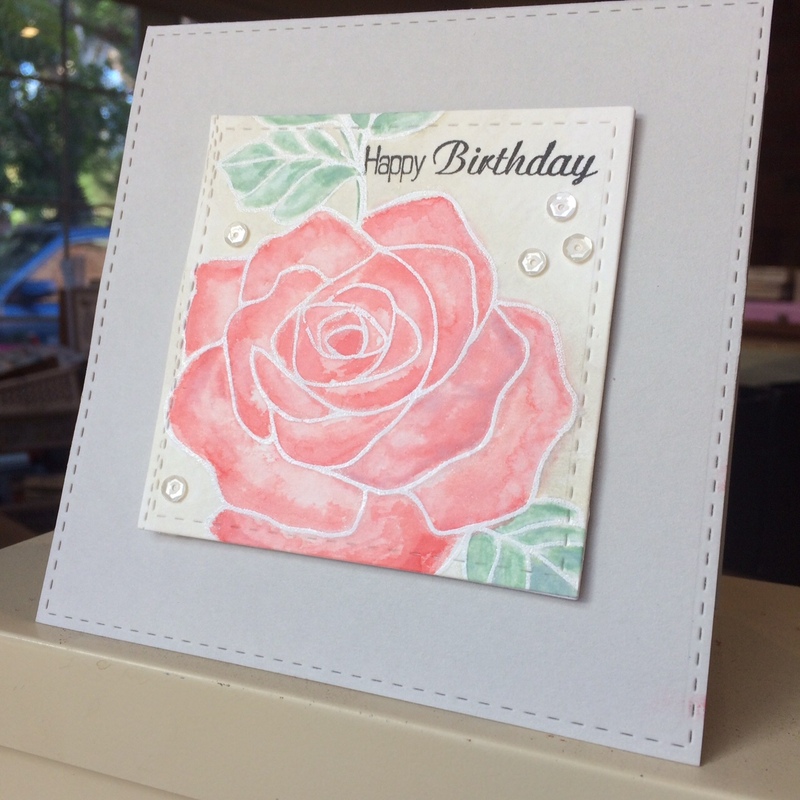 Such a pretty card - so glad you are back to crafting and decided to share with us at Scrapbook Boutique! Hope we see you again next month! 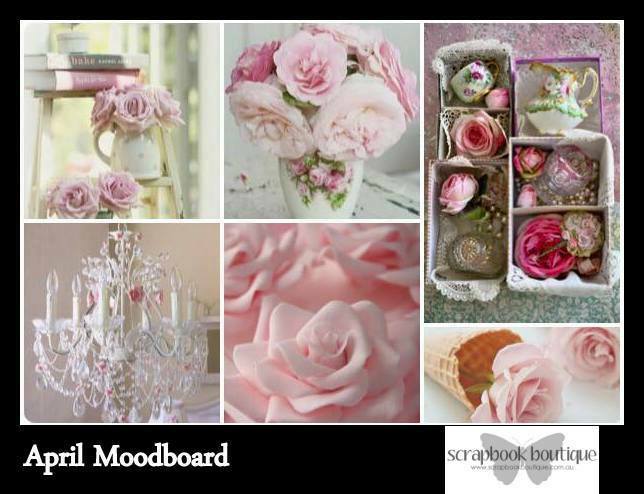 Your rose is so beautiful and the perfect inspiration to focus on in this mood board! Thanks so much for sharing your design with us at Scrapbook Boutique!